Can I schedule a delivery time? Can I schedule a future delivery? If the price decreased after I placed my order, can I get the lower price? I am very low on oil or am out of oil, what do I do? I cannot wait to receive a delivery, what can I do? What if a snowstorm is coming and I want to get oil before it hits? Do I have to shovel out the fill pipe and a path in the snow to the fill pipe? Due to the nature of the oil delivery business, it is not possible to schedule a delivery time. If you wish to receive a two hour window for your delivery you may call us on your scheduled delivery day and we will provide you with one. Please keep this in mind if you are planning on being home to pay at the time of your delivery. We accept a variety of payment methods so that you do not have to be home at the time of the delivery. Yes we do. At this time we accept Visa, Mastercard and Discover. The minimum delivery we provide is for the advertised rate is 150 gallons; however we do provide deliveries down to 50 gallons at a higher price. Can I schedule a delivery for a specific day? Yes. When placing your order be sure to request the date you wish to receive the delivery. However, because of market volatility we cannot lock in the price for more then two business days. The price decreased after I placed my order. Can I have the lower price? Due to the nature of the market, it is not possible to predict if the price will increase or decrease. We purchase our fuel based on the orders we receive. Therefore, prices are set when you place your order, not when the fuel is delivered and it cannot be adjusted (our vendors will not adjust our price after we purchase fuel at a higher price). 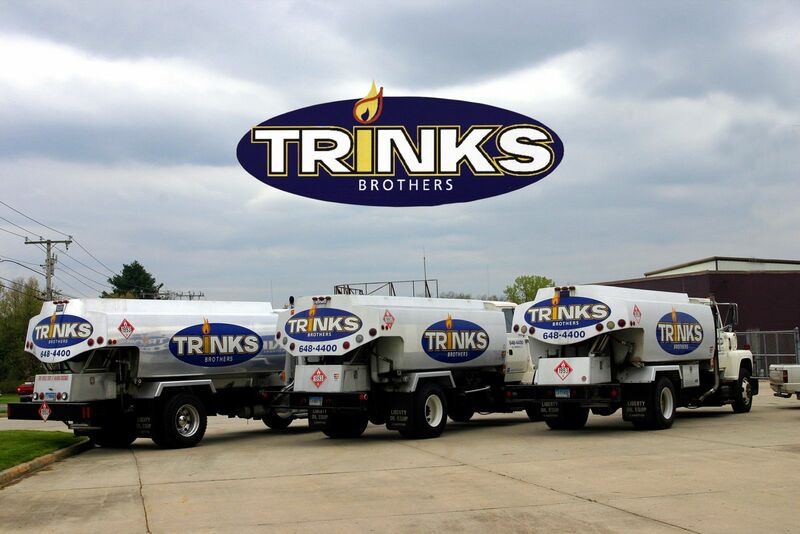 During the winter months, we provide 24 hour emergency delivery and service to all Trinks Brothers Oil Customers. Many times we are able to accommodate you into the current delivery day schedule. However, this will incur an increased fee as we will need to reroute a driver to your home or business. If your unit is still running and you have heat/hot water we ask you to inform of us of this and we will schedule you for the next day delivery at a lower cost. If you have no heat/hot water we will do our best to accommodate you into the current delivery day. However, many times before holidays and bad weather there is simply no way to get to everyone while also adding deliveries to our driver’s routes. If you want simple piece of mind we provide Automatic Delivery Service so that you never have to worry about running out of oil. I cannot wait for a delivery, what can I do? In extreme cases where we are unable to get to your house before you run out or in bad weather you can utilize diesel fuel from any local gas station to get you through until the delivery can be made. A minimum of 10 gallons is recommended in extreme low temperatures and for more than a 24 hour period. A snow storm is coming and I want to get oil before the storm. Unfortunately as human beings there is only so much we are able to do before bad weather arrives. If you have at least a 1/8 of a tank of more we ask that you wait until after the storm. We will do our best to get everything done by the time the weather hits. We also provide Automatic Delivery Service for customers who don't want to worry about checking their tank every week. Do I need to provide a path to the fill pipe in instances of heavy snowfall? For the safety of our drivers and delivery efficiency we ask that customers provide a path to the fill pipe/oil tank in times of heavy snowfall. We deliver to hundreds of customers a day and want to make sure we get to everyone in a timely manner. When we cannot reach your fill pipe or are unable to locate it due to heavy snow we will reschedule your delivery to the next day we have available and ask for you to correct the situation. We are a family owned and operated home heating oil delivery company, serving our customer since 1998 with 24 hour service available. You can notify us when you would like a delivery or we can provide an automatic delivery service. We provide top quality fuel at discounted prices because we know it's important to get a good price, but it's also smart to make your buying decision on other factors as well.